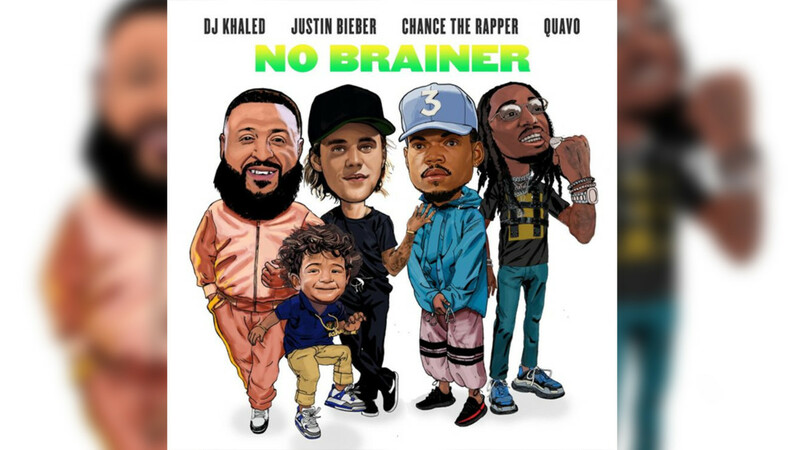 On Friday (July 27), DJ Khaled released "No Brainer," a brand new single off his forthcoming 11th studio album, Father of Asahd, which features Justin Bieber, Chance The Rapper and Quavo. Following the JAY-Z and Beyoncé-assisted "Top Off," which, incredibly, peaked at No. 22 on the Billboard Hot 100, Khaled has rounded up the "I&apos;m The One" gang (minus Lil Wayne) in hopes of recreating the magic that helped to propel his Grateful single to No. 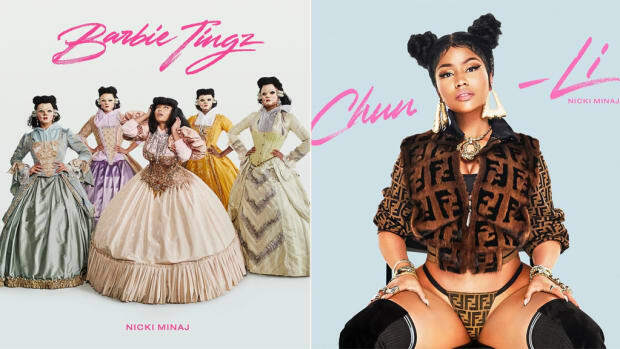 1 and five Platinum plaques. So did Khaled deliver another one? 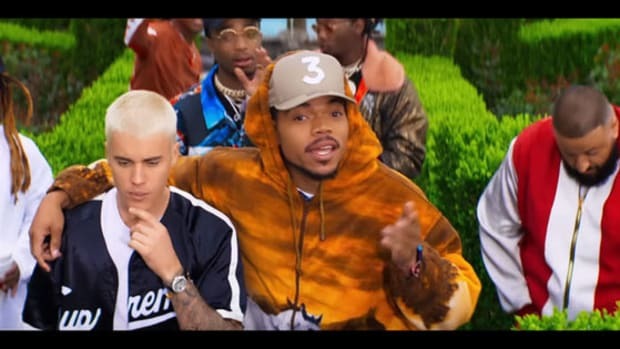 Is "No Brainer" destined for chart success? 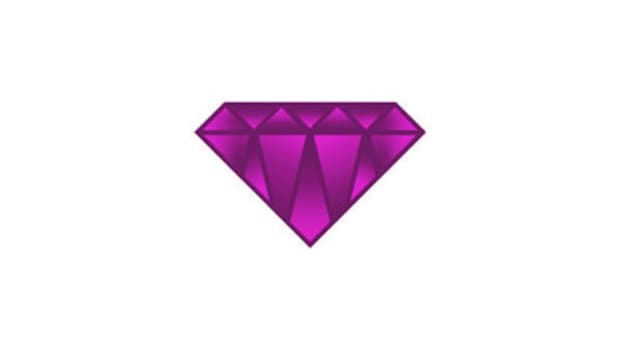 And why is Bieber&apos;s mustache missing from the single artwork? Below is a transcript from our staff Slack chat. You&apos;re welcome. sermonsdomain [12:43 PM] 99% chance there&apos;s water in the video. 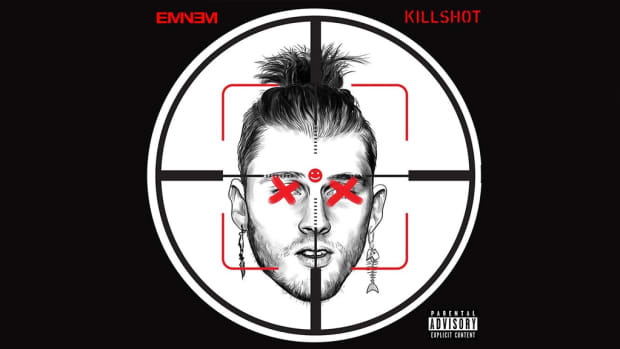 donnacwrites [12:46 PM] Oh wow, this is "I want a song of the summer so bad" the single. donnacwrites [12:48 PM] So far the best part of this is the color grading on the video. sermonsdomain [12:49 PM] DJ Khaled is the music equivalent of a Build-A-Bear workshop. Z [12:52 PM] Khaled wanted to recreate "I&apos;m the One" but Wayne didn&apos;t get an invite? Sad. donnacwrites [12:52 PM] So let&apos;s get down to what we all want to know. Is this better than "I&apos;m the One"? CineRihanna [12:53 PM] It&apos;s the same or equal to "I&apos;m The One"
stebars14 [12:53 PM] From Reddit: "I vote Quavo is eliminated next in the DJ Khaled Battle Royale"
yoh [12:54 PM] Is DJ Khaled becoming a parody of himself? 6iet [12:55 PM] Bieber was the best part of the song. That’s not good. Remember when Quavo was fun to listen to? Z [12:56 PM] The art gets an F — Bieber&apos;s creeper mustache is nowhere to be found. Z [12:57 PM] Asahd is stepping on Bieber&apos;s shoe and he isn&apos;t reacting — if someone steps on my kicks, best believe they are at least getting a dirty look. Z [12:57 PM] I love MY kid. The rest can go. 6iet [12:58 PM] Why does Bieber look like Jay, but dressed like Silent Bob? Z [1:00 PM] The over/under on "And another one" ad-libs was 10 going into this listen — Khaled hit the under. CineRihanna [1:00 PM] I only heard like 4 @Z. I heard more "GET &apos;EM HIGH." Word to Talib Kweli. CineRihanna [1:02 PM] How many songs has DJ Khaled actually produced? hershal [1:03 PM] This beat was made by a sentient cotton candy machine. Z [1:03 PM] According to Wikipedia, 43 — but nearly all of them are co-production credits. Which means he was in the room and pointed at someone to press a button. "You, louder!" "Credit!" CineRihanna [1:05 PM] Chance&apos;s outfit was better in the first video. Dressed like a rustic living room. hershal [1:05 PM] "She said that she likes that I make music for God" is the weirdest brag I&apos;ve ever heard in music. 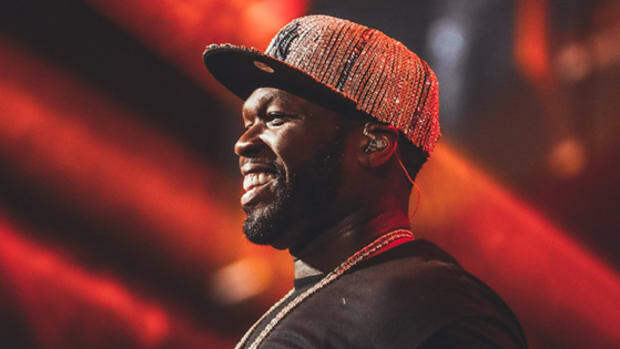 Like, have we entered an era where rappers are just talking about very sincere, specific compliments they&apos;ve received? Like who&apos;s the first rapper who&apos;s going to say "She said that I&apos;m above average at parallel parking"
hershal [1:06 PM] @CineRihanna I laughed out loud. 6iet [1:06 PM] “She like that I make music for God.” Okay, but did God even ask you to do that? donnacwrites [1:07 PM] Does God have ears? ben [1:07 PM] Did God get co-production credits? 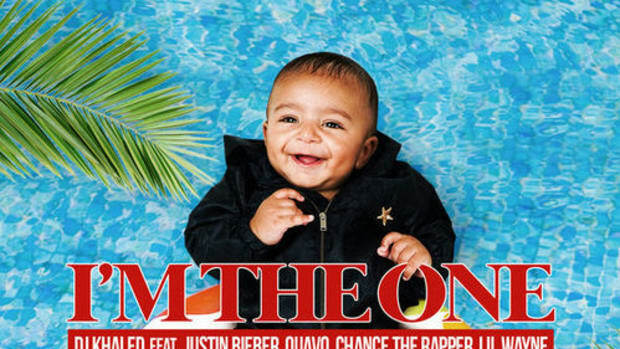 DJ Khaled Delivers Star-Studded Song of the Summer Contender "I'm the One"
Because pop music just can’t help itself from whitewashing Jamaican music right now, can it?